Julie's Creative Lifestyle: Gifts I won from a Giveaway! Gifts I won from a Giveaway! 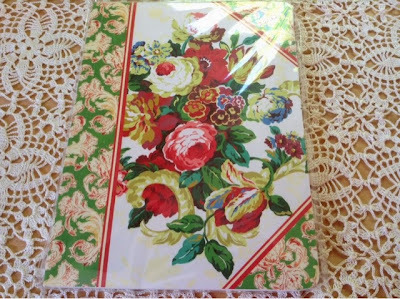 I have a blog friend Beca from Summerhouse Cottage who had a giveaway on her blog at the end of April and I was the lucky winner of this giveaway. To see that post you can click here. Beca has a lovely blog where she shares her love of crochet and has a lovely Etsy Shop where she sells her creations. Please visit her pretty blog HERE when you get a chance. 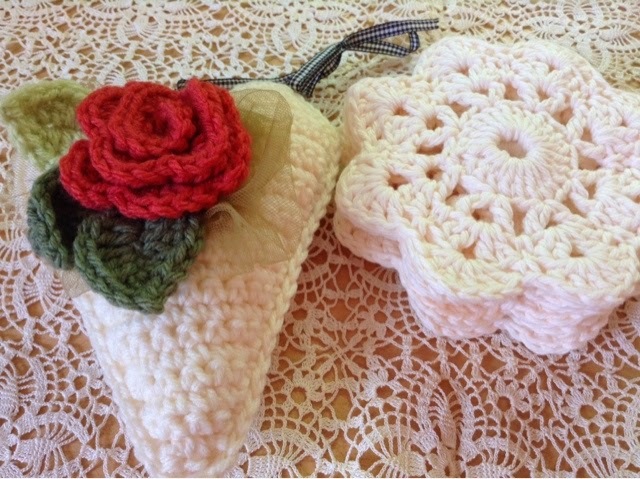 I won a pretty embellished crochet heart hanger and a set of 6 crocheted cotton coasters handmade by Beca. 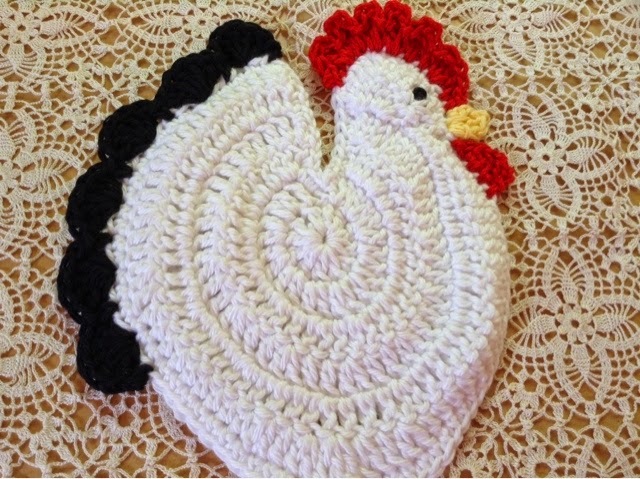 A crocheted Hen Potholder which is so adorable and Beca crocheted this too! 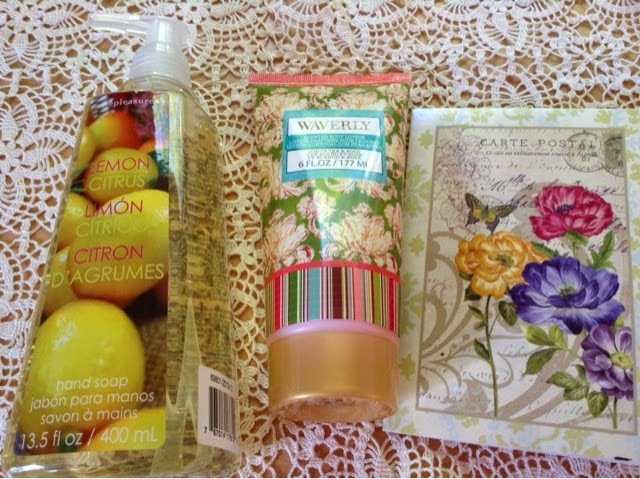 Lemon hand soap and hand cream and a pretty card for me. Also included a notepad which will come in handy for me to use while blogging. 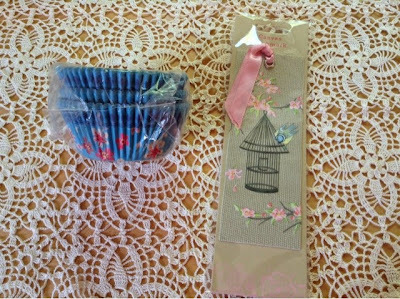 Here are cute cupcake liners which I will love using when I bake cupcakes and a pretty bookmark too. This is my first time I have ever won any giveaway from any blog friends and it's just feels so nice to win when I wasn't even expecting it! Thank you so much Beca I love everything and will enjoy using everything. I love how talented and creative you are and thanks for being my blog friend and for having the wonderful giveaway. All of my recipes and crochet/knit creations are on my Pinterest Boards, so please have a look there too! Such wonderful giveaway gifts! Congratulations!!! So glad you love them Julie. You're a sweety. What a lovely package of goodies! Isn't that hen potholder the cutest things ever! I'm so glad you won...you are always so sweet and giving to everyone else! Have fun with your new pretties. I'm off to visit this nice lady! Have a wonderful day! Hugs! Congratulations, Julie :-) Enjoy all your lovely goodies. Julie, you won some awesome things girl! That rooster pot holder is THE CUTEST! hahaha Love it! OOO it's so nice when you win something, what a lovely collection of goodies too. Enjoy! Julie, it's so fun to win. I am so happy for you and the gifts are all so darn cute! Congrats! Thanks for sharing them with SYC. Wordless Wednesday - Spring Flowers! I Have Received an Award! © Julie's Creative Lifestyle: Gifts I won from a Giveaway!